(from the exhibition’s website) Hats: An Anthology by Stephen Jones—a collaboration between the Victoria and Albert Museum in London and Stephen Jones, the world’s foremost hat designer—is at the Bard Graduate Center (BGC) in New York City from September 15, 2011 to April 15, 2012. It is the first venue in this country. The exhibition, which had over 100,000 visitors at the V&A, displays more than 250 hats chosen with the expert eye of the master milliner. On display are hats ranging from a twelfth-century Egyptian fez to a 1950s Balenciaga hat and couture creations by Jones and his contemporaries. To show the universal appeal of wearing hats, Jones has chosen a wide variety of styles such as motorcycle helmets, turbans, berets, and a child’s plastic tiara. There also are hats worn by celebrities such as Madonna, Brad Pitt and Keira Knightley. For the special exhibition at the BGC, the curators have arranged for loans particularly relevant to the United States, including Babe Ruth’s baseball cap, Mouseketeer ears, Estee Lauder’s turban, Halston bunny ears worn by Candace Bergen to Truman Capote’s Black & White Ball, and the top hat worn by President Franklin Roosevelt to his fourth inauguration. 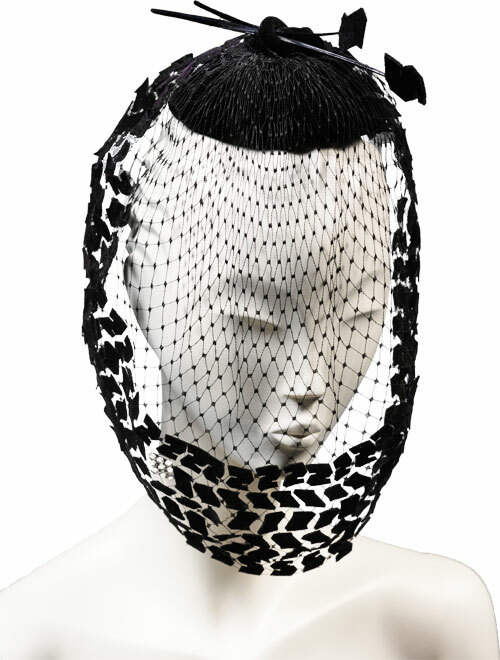 There is also a display of work by contemporary New York milliners: Ellen Christine, Rod Keenan, Eugenia Kim, Lola, Jennifer Ouellette, Albertus Swanepoel, and Patricia Underwood. Stephen Jones spearheaded the fashionable revival of British millinery in the early 1980s. Using unusual materials and daring designs, his exquisitely crafted hats have pushed the boundaries of hat design forward for more than three decades. Jones has collaborated with many leading fashion designers including Marc Jacobs, Comme des Garçons, and Christian Dior. He has worked with many celebrity clients including Diana, Princess of Wales, Dita von Teese, Mick Jagger, and Rihanna, and has made hats for the filmsAtonement, Elizabeth: The Golden Age, Coco avant Chanel, and W.E. The exhibition is divided into several sections that reveal the practice of creating hats, how they are worn, by whom, and how they are presented to the client. Inspiration, the first section, looks at how common themes such as exoticism, modernism, and the natural world have inspired countless designers. It shows historic and contemporary interpretations of hat types such as the tricorn, bowler, baseball cap, bonnet, skullcap, and many more. Creation shows how hats are made and the traditions, innovations, and practices at the heart of millinery. This area is set up like a milliner’s workroom, with patterns, sketches, materials, and millinery blocks. The Salon reflects the milliner’s public showcase, featuring spectacular hats that reveal the craft at its sartorial best. On display are designs by Philip Treacy, Bill Cunningham, Mr. John, Lily Daché, Mitza Bricard for Christian Dior, Misa Harada for Yohji Yamamoto, and Chanel. In The Client, visitors can see hats worn by famous clients including Sarah Jessica Parker, Mick Jagger, Brad Pitt, Cecil Beaton, members of the British royal family, and avid collectors such as Isabella Blow and Italian Vogue’s Anna Piaggi. 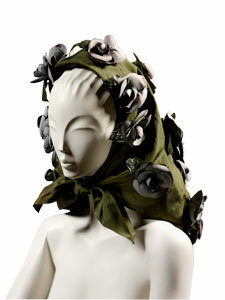 Also on display will be iconic headwear such as Marlene Dietrich’s beret and Andy Warhol’s wig. The exhibition also features a selection of archive film footage plus a film showing a couture hat being made in Jones’ atelier. This entry was posted in Exhibition and tagged Brad Graduate Center, Hats, Stephen Jones. Bookmark the permalink.